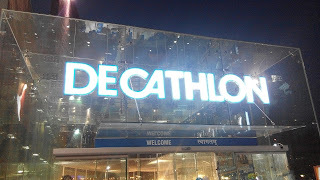 Decathlon, World's largest sporting goods retailer, has come up with their new store at Pacific Mall, Delhi and I went to see the sprawling store myself on the 15th of April. The store has a neat division of sporting goods, on the lines of a particular sport. Suppose you are interested in Badminton, then head to the section for Badminton goods, similarly for any other sports look for that section. The variety is amazing and I am sure they cover almost everything one needs to passionately play a game. Whilst we are at it, I got some good bargains for t-shirts to wear to the gym or for running. I purchased a bunch of them for myself and family. They even had a scheme wherein in first 1000 buyers, making a purchase of more than 1000 bucks would get this very cute backpack. Alas, my bill ran short of 1000 and I missed out on the bag. 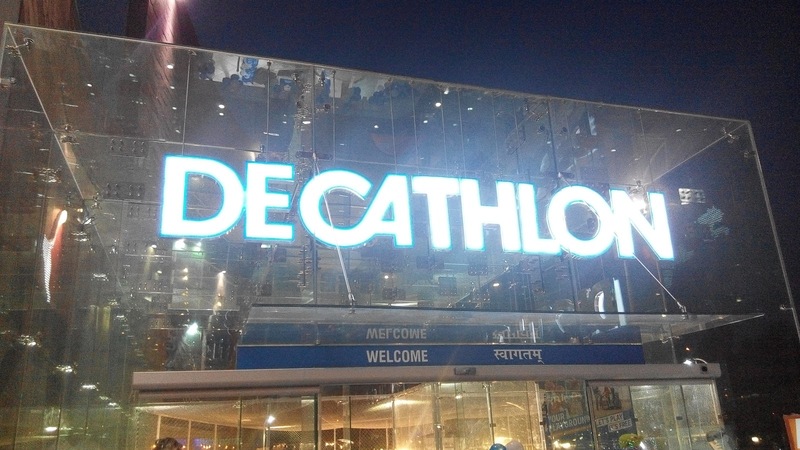 The tally of Decathlon stores in India - 47 (Including 2 in Gurgaon and 1 in Ludhiana which I have also frequented).